Since the first FIBA-organized international 3x3 event at the 2010 Youth Olympic Games, the standard set of rules for the game has evolved, and along the way the rules have continued to challenge athletes to become better basketball players. As the game matured, throughout World Cups and numerous zone and qualifying championships, FIBA and the game’s organizers have adapted a set of rules that highlights 3x3’s excitement and standardizes the playing field. And in 2020 in in Tokyo, the game is set to make its Olympic debut, something that excites 2012 USA 3x3 World Cup gold medalist Skylar Diggins-Smith. "It was intense, the atmosphere was intense, we got to play outside and it kind of reminded me of a streetball type of thing," she added. Just like with any new sport, the way 3x3 is played has varied as officials aimed to find improvements and reach maximum potential. The essence of 3x3 is that it's a game for everyone and anyone who loves basketball. It's a discipline that provides a mix of competitiveness, skills and fun. • A team is composed of at least three players and no more than four athletes per roster. • Each team gets one, 30-second timeout. • Baskets made from outside of the arc are worth two points, and all baskets inside the arc are worth 1 point. • The team that reaches 21 points first or scores the most points by the end of the 10 minutes, wins. • If teams are tied at the end of the 10 minutes, overtime will be played, and the first team that scores two points wins. • Opening possession is determined by a coin toss instead of a jump ball. Over a period of eight years, 3x3 basketball has seen many variations of its rules, with some of the most notable being the length of the game, the shot clock and the amount of points necessary to win a game. One briefly used rule that was more impactful on the men’s 3x3 game came in 2013. That year, FIBA increased the point value for a dunk to two points, the same amount awarded for a make from behind the arc. After carefully watching the rule’s impact for one year, FIBA returned to awarding a single point for a dunk. In its first FIBA-sanctioned competition in 2010, the game was played in two, five-minute halves with a 10-second shot clock, and the team that reached 33 points first or scored the most points by the end of the game won. In addition, teams were allowed to have coaches roaming the sidelines and designing plays. Currently, the game is one, 10-minute contest with a 12-second shot clock, and it is the team that reaches 21 points first or the team that is leading after the 10 minutes expires, that is victorious. Also, teams no longer have coaches, making the game of 3x3 an independent, be-your-own-coach, kind of game. Even with two more seconds than it originally had on the shot clock, the game is fast, which could be said to be its most defining characteristic. Naturally, some rules have remained the same since the game’s official inception, such as the use of one half-court and the structure of teams being made up of three starting players and one substitute. It is all of these adjustments nevertheless, that has allowed 3x3 to progress and become appealing to everybody who encounters it. And no matter the rule changes, the game has remained fast paced and much different from its five-on-five counterpart, something former Gonzaga standout and current NBA player Zach Collins found out in 2015. 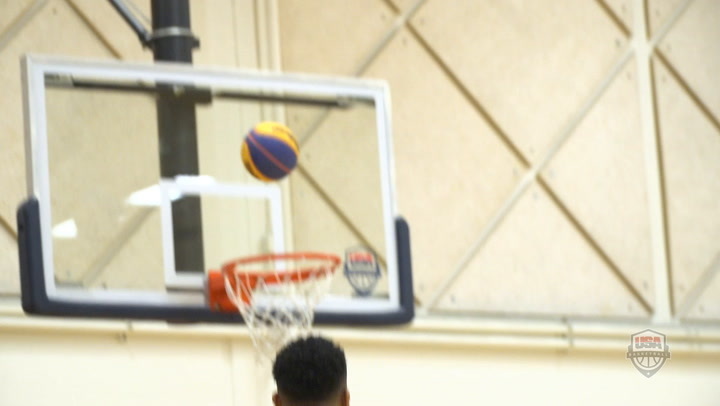 “You have to take it seriously," said Collins during training camp with the 2015 USA 3x3 U18 World Cup Team. "I have to be honest, when I came out here, I thought 3x3 would be a breeze, but definitely it is serious. The training is different. You have to be able to keep going. In five-on-five, you score, you can kind of celebrate a little bit before you get back on defense. You can kind of relax for a second, but in 3x3 you can’t. It is all about the next play, literally. You have got to think fast and be prepared for anything. I think the training, if anything is harder." And that is one of the reasons fans will enjoy the 2018 USA Basketball 3x3 U18 National Championships, slated for March 24-25, and the 2018 USA 3x3 National Championships (no age limit) April 21-22 at the United States Olympic Training Center in Colorado Springs, Colorado. Both weekends will be full of exciting and fast-paced 3x3 basketball games. 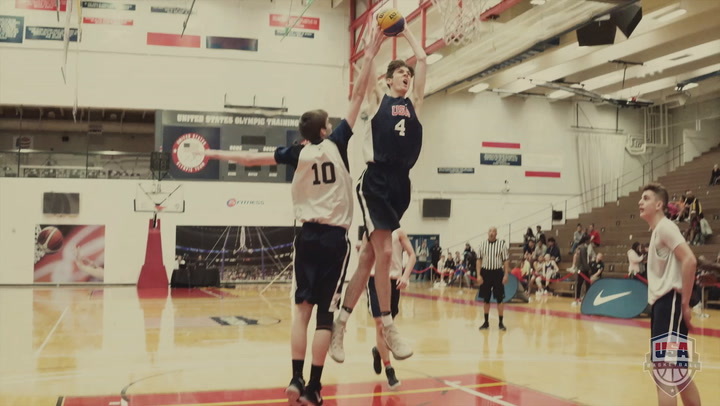 The winners of the 2018 USA Basketball 3x3 U18 National Championship will have a chance to represent the U.S. in the Youth Olympic Games, Oct. 6-18 in Buenos Aires, Argentina. The winning team at the USA 3x3 women's tournament in April will have a chance to represent the USA at the 2018 FIBA 3x3 World Cup, scheduled for June 8-12 in Manila, Philippines. 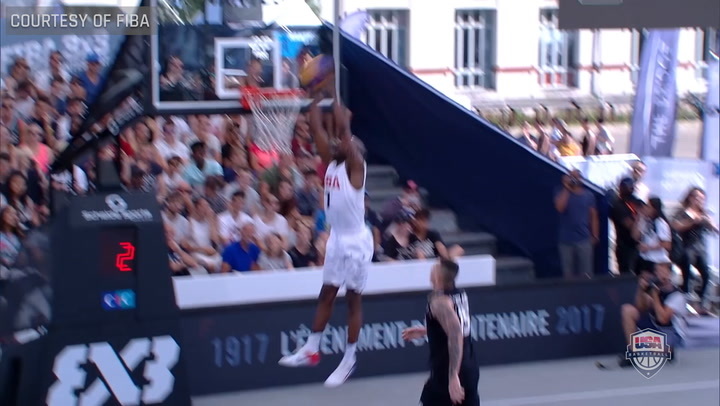 And, the winning team at the 3x3 men's national championship will have a chance at competing at one of the FIBA 3x3 World Tour Masters stops. 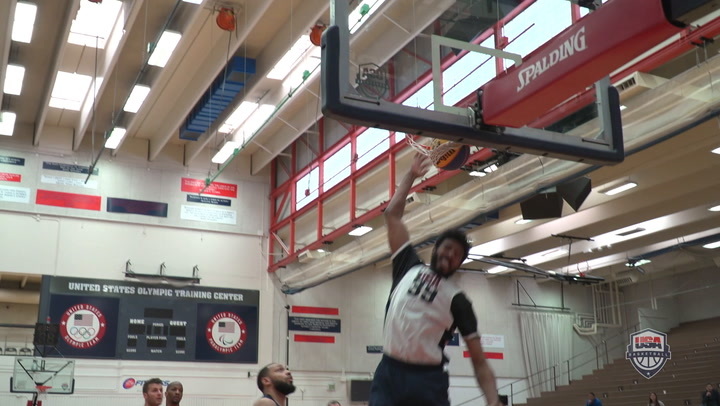 While only eight men and eight women will represent USA Basketball this year in major, international 3x3 competitions, everyone who competes in the USA Basketball 3x3 National Championships will have fun and hone their skills over the two-day events. Note: This story was originally published on April 29, 2015, and updated on March 20, 2018.